Marketing your small business or start-up online can be tough. To improve your visibility, make sure to take advantage of Google’s programs. One of the simplest things you can do is Google My Business (GMB). If you haven’t set up your GMB yet, here are the basics. If you’re ready to take it to the next level, read on! A great feature for restaurants and service type businesses is Menu and Services. You can create a list of your offerings and it will appear in your GMB listing. You can create different sections for your list and add individual items along with a description and price. If you don’t want your pricing on the web, you can leave it blank. If you don’t see this feature, Google probably thinks it isn’t applicable for your business. 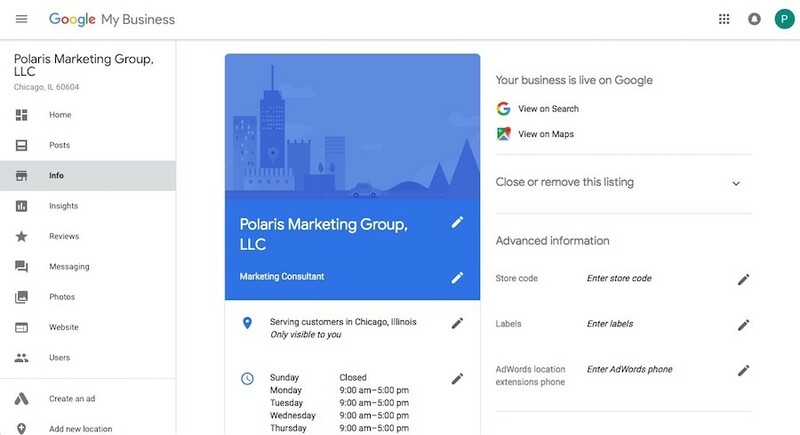 FYI: It doesn’t appear that Google is showcasing your services list everywhere yet. It does show up on mobile though. When you click on your search listing, tap the “menu” tab to see your list. Ours is below. Hopefully, this will make its way to desktop search soon. The other feature is called Posts. This is a great way for businesses to communicate timely information right on the search results page. There are options to communicate something new, an event, an offer, or even a specific product. Posts usually stay live for 7 days. You have some control over this, but they aren’t intended to be permanent. If we run across any more helpful features for GMB, we’ll let you know.